The forecast that week was not promising. Thunderstorms and heavy rain were not only probable, but guaranteed, and red shades of high alert would taunt me each time I checked my phone as I packed. Out came the larger suitcase, and in it went my rain boots and rain coat — the rain boots I had to dust off before I put them in shoe covers — neither had seen much use this dry winter in California. To say I was a little nervous is not an exaggeration. Ever since a frightening flight last year, I am on edge whenever I board a plane now. Knowing that I would be potentially flying into inclement weather left me unsettled as I prepared to fly to Avery Island. I felt as though someone was watching over me as I left San Francisco – I just made my flight despite terrible traffic, the skies somehow cleared as I descended into Houston, and even the little regional jet that seemed to be spitting out hail from its air vents landed without the lightening storms that were promised. 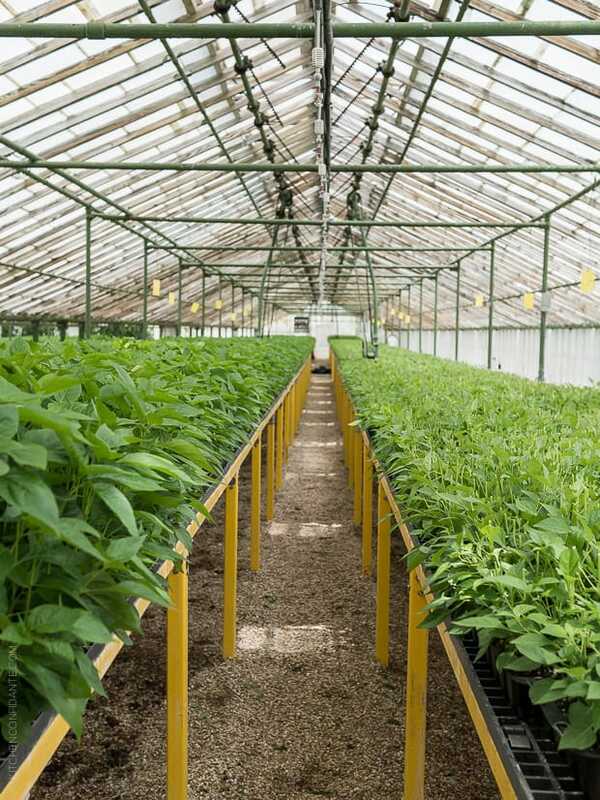 I could finally ease my mind and enjoy the adventures I had ahead – to learn all about the McIlhenny family, and the sauce they produce that I am quite sure you have heard about — Tabasco. In the eye of that thunderstorm was another fiery red phenomenon, that ubiquitous liquid in a bottle that you can find in any restaurant, if not on the table, then in the kitchen. And you can bet it is in my kitchen, too. I grew up with Tabasco, and I seriously can not live without it. I use it nearly every day, and now that Tabasco has expanded its line of flavors, you can bet that I have both a bottle of Tabasco Red Sauce and Tabasco Habenero Sauce (my personal favorite) in my pantry at all times. A dash or two goes into so many things I eat, so I am truly excited to share that this year I join Tabasco Tastemakers as an ambassador. 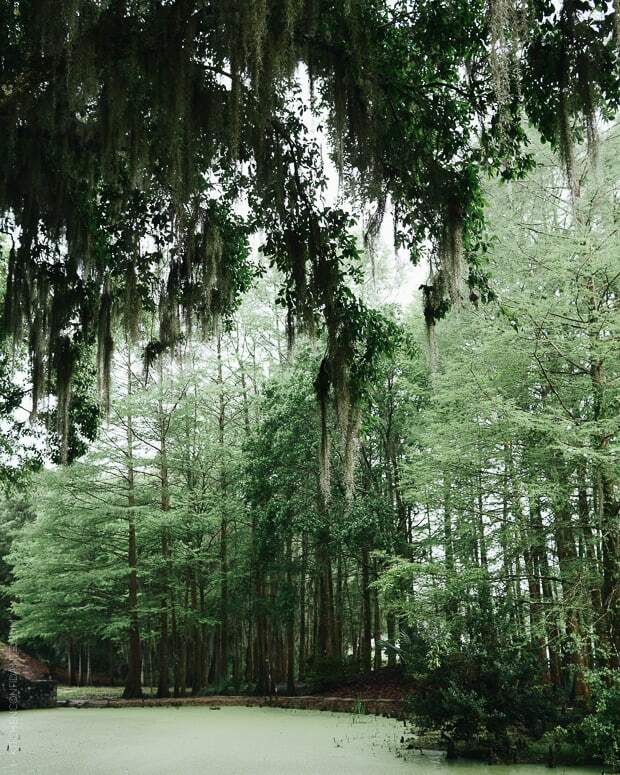 This introduction to the McIlhenny Company and the visit to Avery Island was an incredible way to kick it off – and I can not wait to share the recipes I have brewing and will share with you over the next several months. 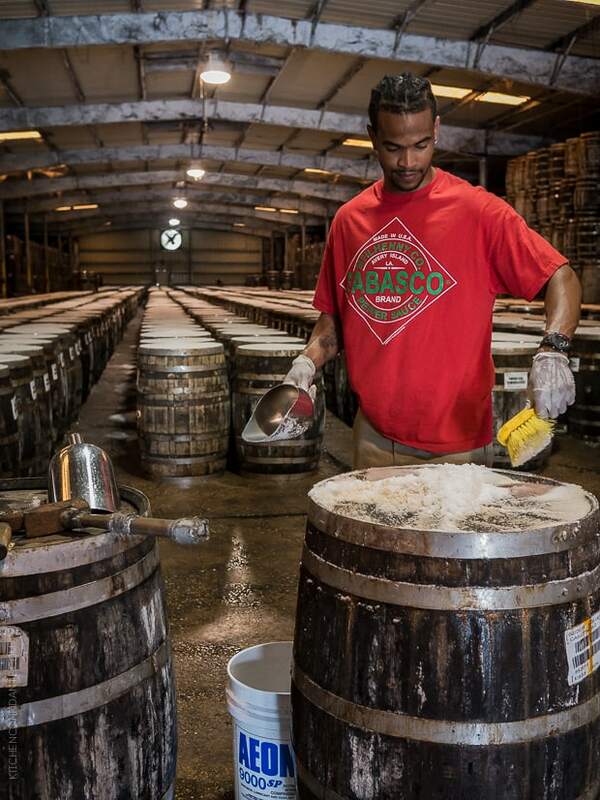 But first, let me give you a glimpse of my trip to Avery Island, where Tabasco is made. Like any good introduction, it began with food. 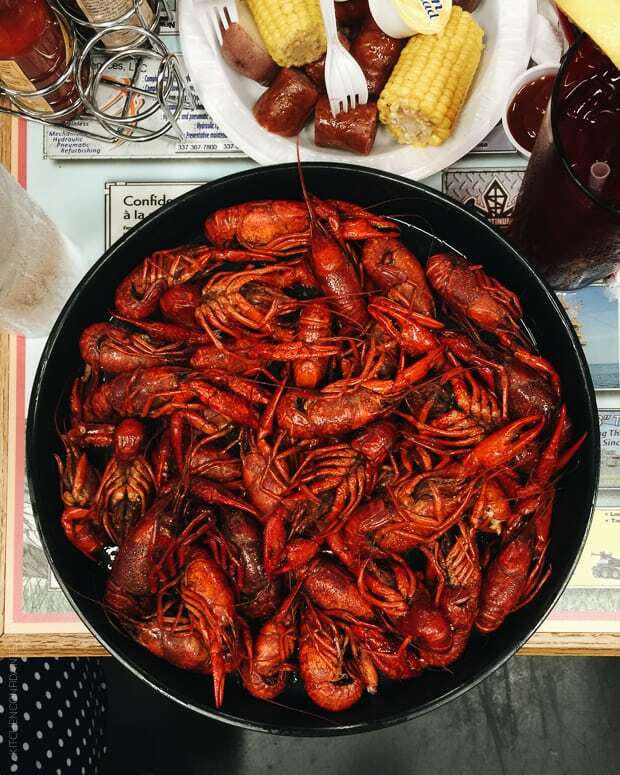 Within 24 hours of landing in Louisiana, my tastebuds were introduced to true Cajun cooking. 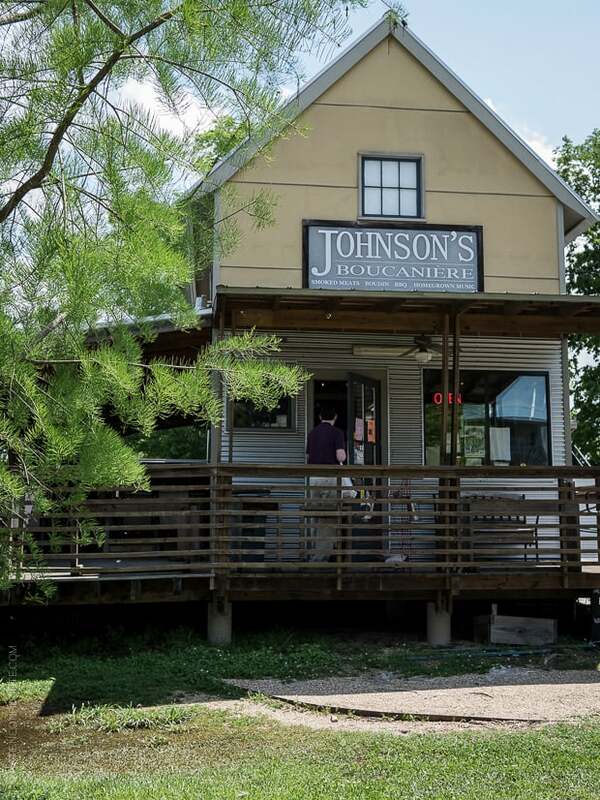 There were gumbos and po’ boys, jambalaya and ribs, jalapeno chips and swamp pop, and I was pleased to meet my very first boudin sausage. I also met, for the very first time, crawfish. I feel as though there should be several exclamation points after that. Two pounds of crawfish I tackled, quite well, I like to think. It was pretty amazing. The first morning surprised us with clear skies, and for the few of us who arrived early, a glimpse of our first alligator on Avery Island. As the rest of our group made it to Avery Island, we had a beautiful day to visit the greenhouses where all the magic begins. 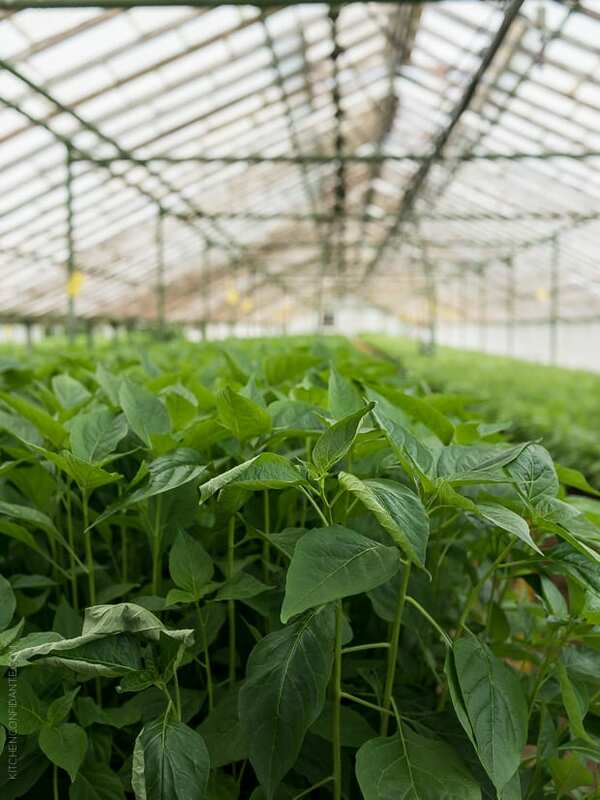 These Tabasco pepper plant seedlings are grown for seeds, which are then grown all over the world, eventually making their way back to Avery Island to be transformed into the red sauce we know so well. 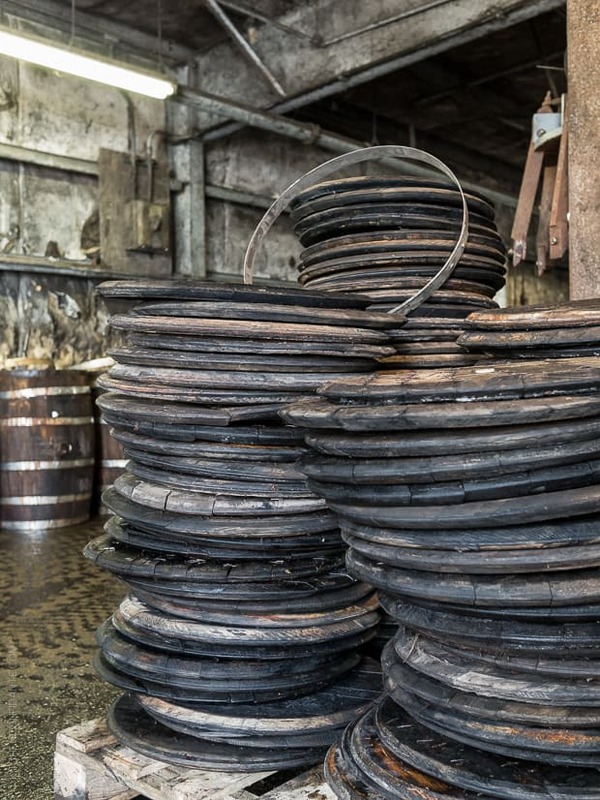 The pepper mash is barreled in white oak with nothing more than salt that is mined right from Avery Island, and given three years to age. Much like a fine wine, making Tabasco Red Pepper sauce takes time, and it also requires tasting. 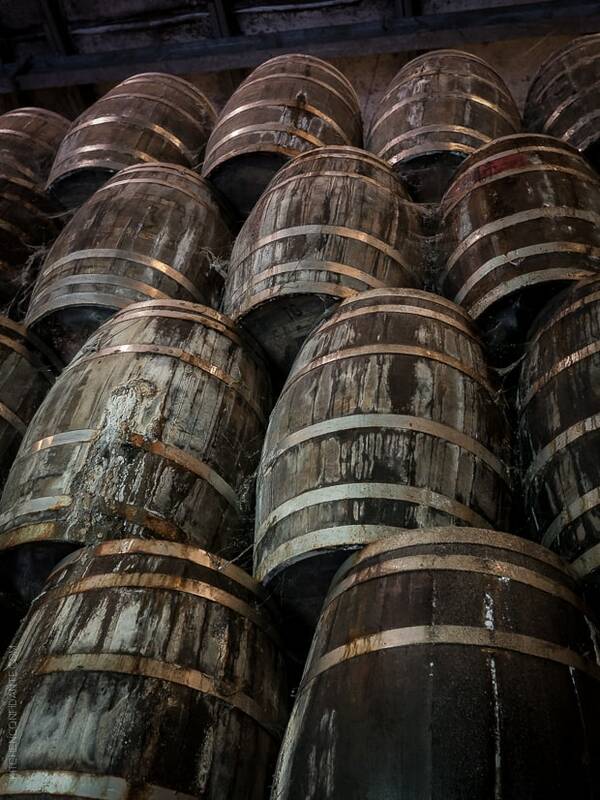 We had the chance to do our very own barrel tasting. If you have any sinus issues, I highly recommend tasting a mere drop of pepper mash – it is extremely potent! 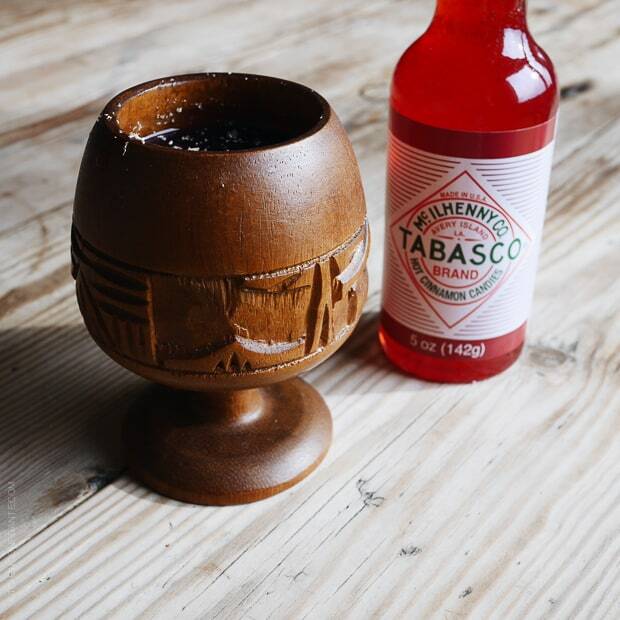 From barrel to bottle, the transformation is all done on Avery Island, and we were treated to a tasting of the Tabasco Family of Flavors, guided by Tony Simmons, Tabasco’s CEO and the great-great-grandson of founder Edmund McIlhenny. 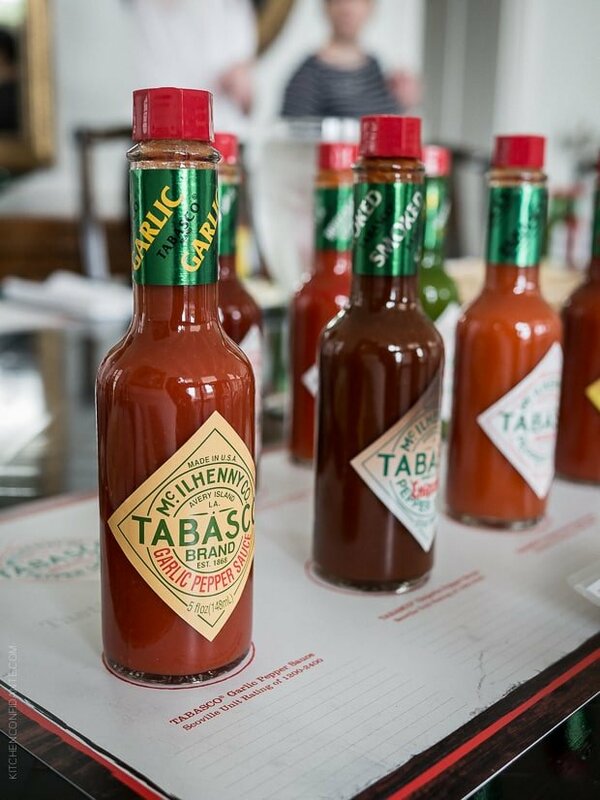 As we sat at the dining room table, we were able to experience unique flight of Tabasco flavors — some were very familiar, and some quite unique. 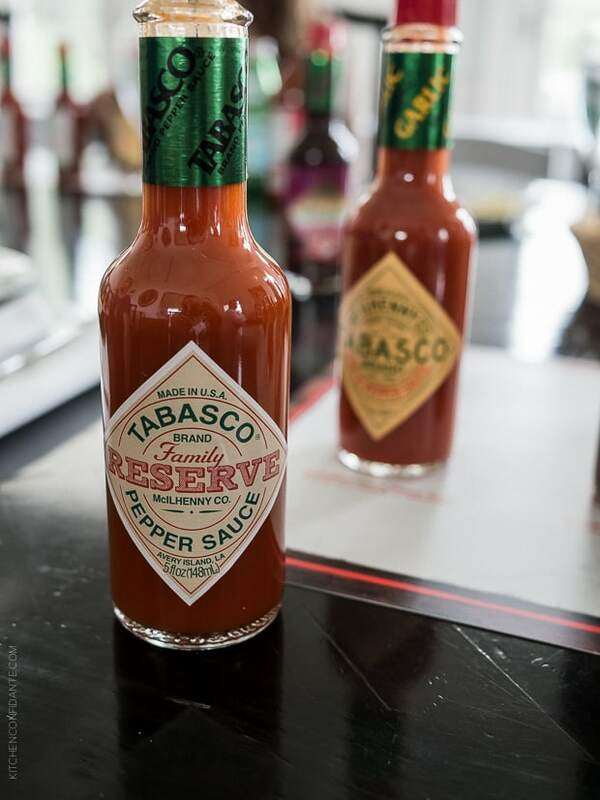 One of the standouts included the Tabasco Family Reserve Pepper Sauce, which is made from peppers only grown on Avery Island, sherry vinegar and aged for 8 years. The flavor is distinct and clearly superior to the already well-loved Red Pepper Sauce. If you can, I encourage you to try it. Having the chance to spend time with Tony Simmons – not just at this tasting, but at all our meals – was a remarkable and intimate way to learn about the rich heritage behind Tabasco and Avery Island. I mean it when I say that being welcomed to Avery Island was truly like visiting a family. From getting to know the people and the families behind Tabasco, and staying at the historic Marsh House, we were guests at their table in the truest sense. All this tasting leaves you thirsty, and we were treated to a cocktail demo with James Beard award winning mixologist Nick Detrich of Cane & Table in New Orleans. 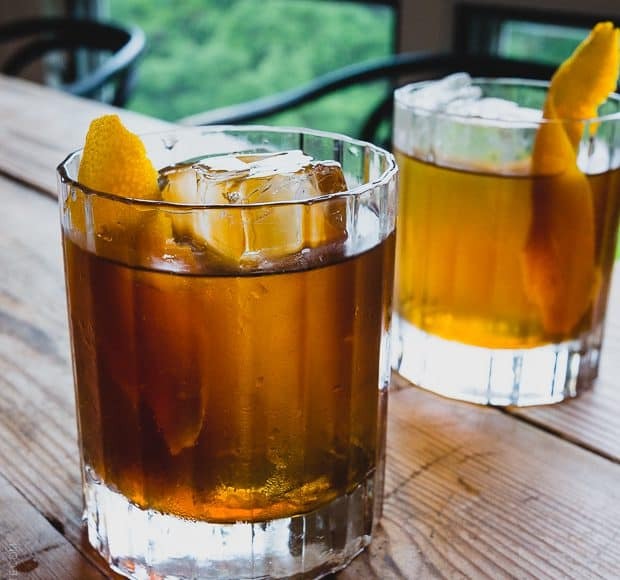 He created two distinct cocktails featuring Tabasco – a Shaken Skull Punch which drank with the ease of a sangria, and A Scotch and Salt cocktail, that I am excited to share here with you. 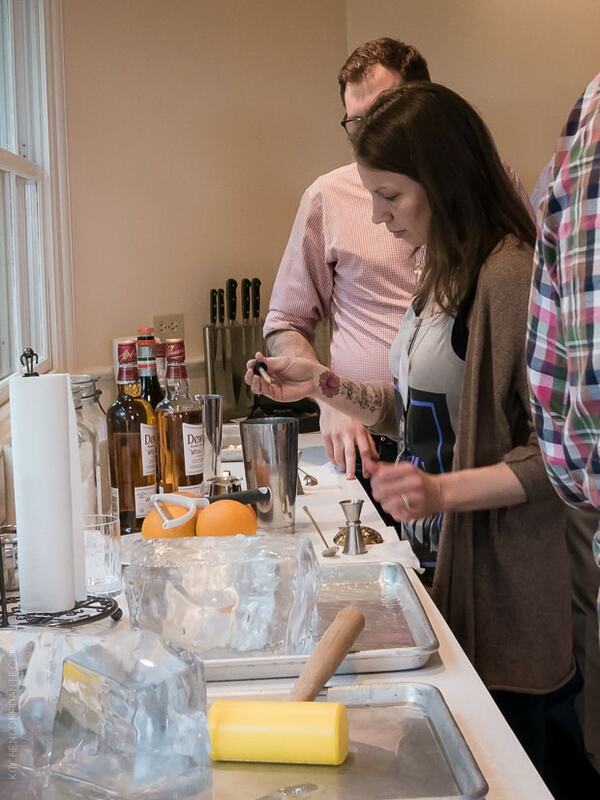 As we sipped our drinks, Nick guided us in a hands on demonstration along with his dazzling knowledge of history. 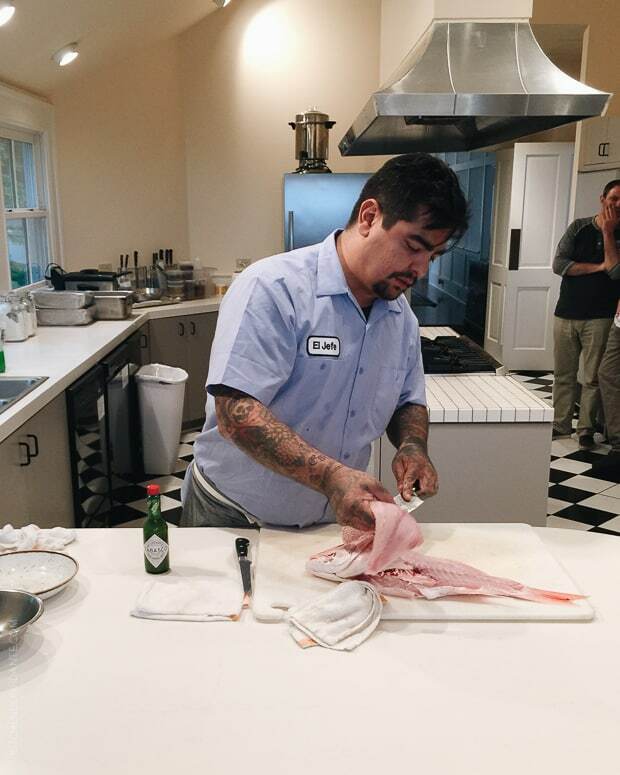 Lest you think all we ate was gumbo, Chef Aaron Sanchez of Paloma and Johnny Sanchez – many of you may recognize him from Chopped – arrived with his team of chefs to demonstrate how he incorporated Tabasco Green Pepper Sauce into a Gulf Snapper Ceviche. Simple and fresh ingredients were the heroes in this dish, and we were also pleased to find Chef Aaron as sincere as he is entertaining. 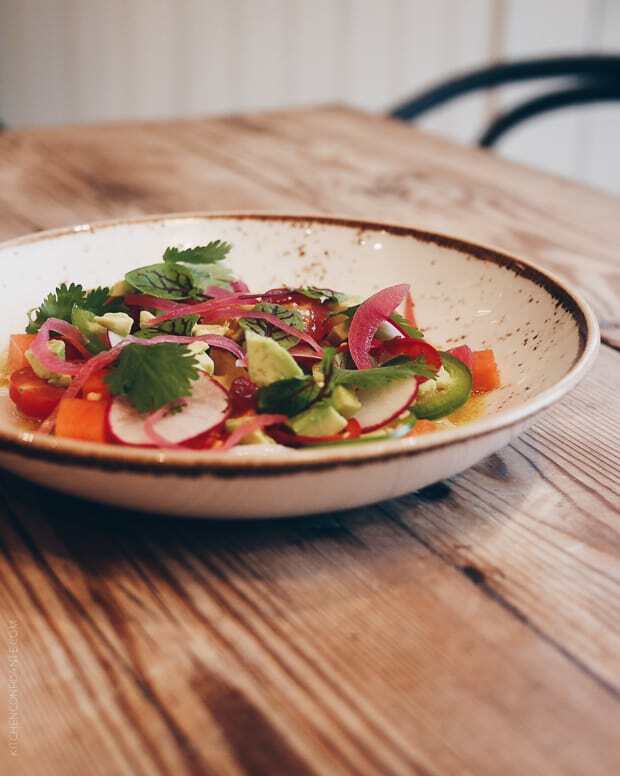 This ceviche was also the first of four courses in a very memorable dinner he cooked for us and the Tabasco family of executives on our last evening on Avery Island. Each dish was remarkable, balancing flavors and technique that highlighted the Tabasco flavors so well. I am still thinking about the Crispy Louisiana Shrimp with Tabasco Habanero Sauce Aioli and Covey Rise Pickled Vegetables. 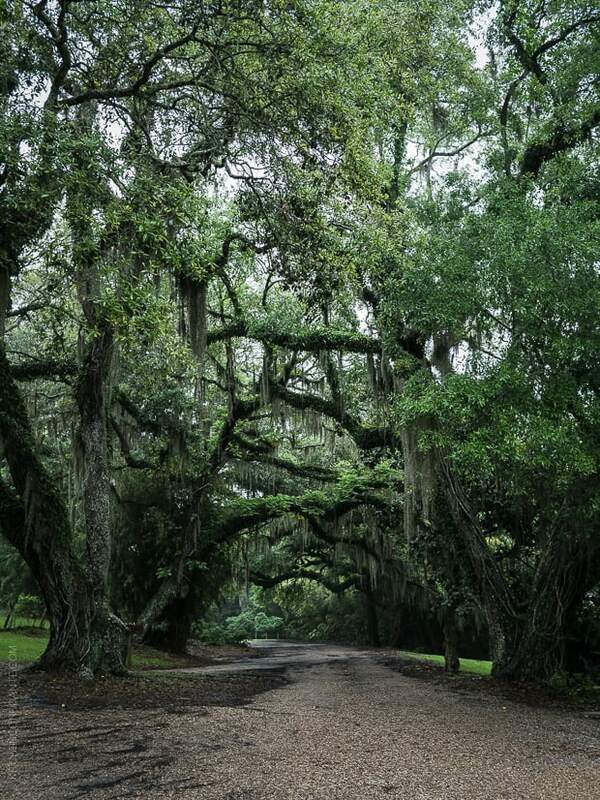 When the time came to leave Avery Island, the storms had returned. 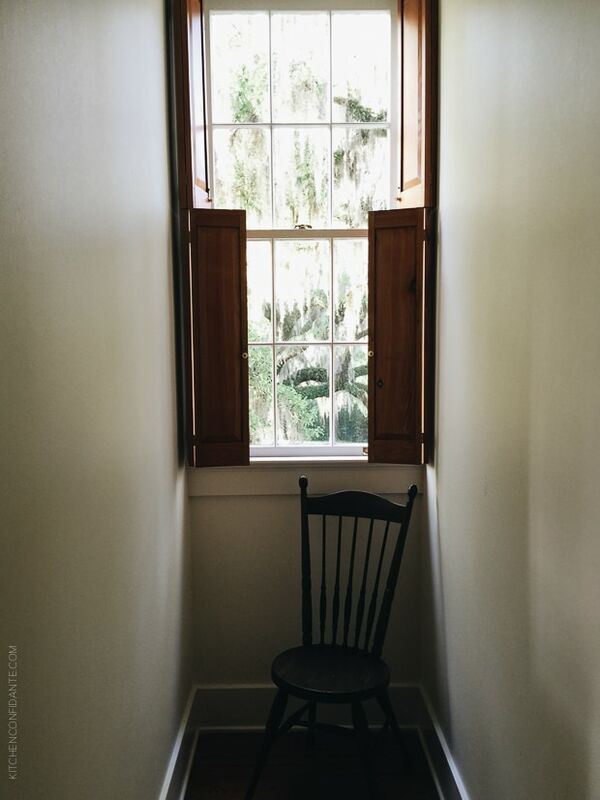 I packed my bags to the sound of rain and thunder, and in my little room in the Marsh House, I realized that for the first time, I was ending a trip not feeling as fatigued as I normally do. I had the feeling that comes after you visit family, when you stay at their home, and cook in their kitchens. I realized that I would miss breakfast in the large dining room, and the freshly baked hand pies, since I would be catching the first flight out. 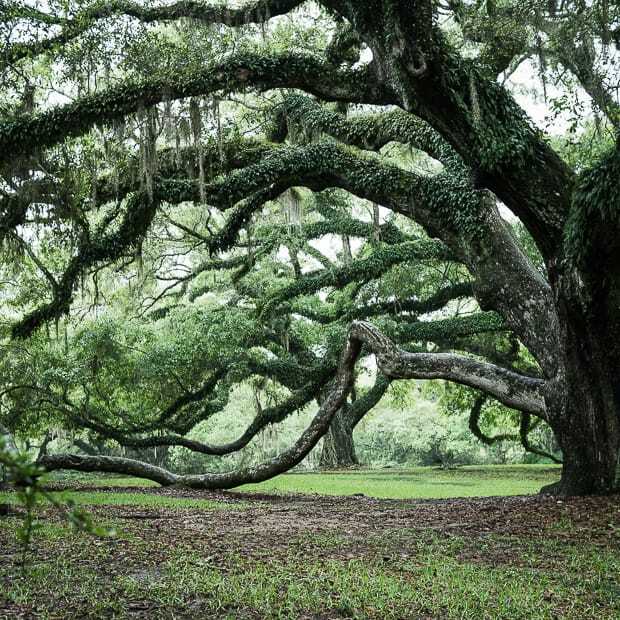 As I hugged everyone goodbye, I felt the gratitude of a guest, for Avery Island had welcomed me in the most surprising way. I found it mysterious and alluring, and yet, very familiar and welcoming. I suppose this is what people mean when they say they love Louisiana. I think I get it now. 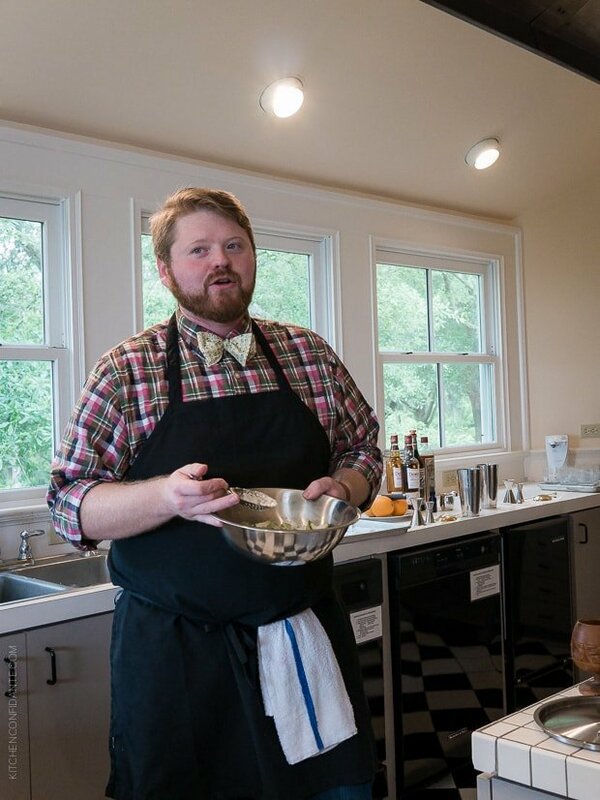 I am pleased to share this recipe for the Scotch & Salt cocktail created by Nick Detrich of Cane & Table. 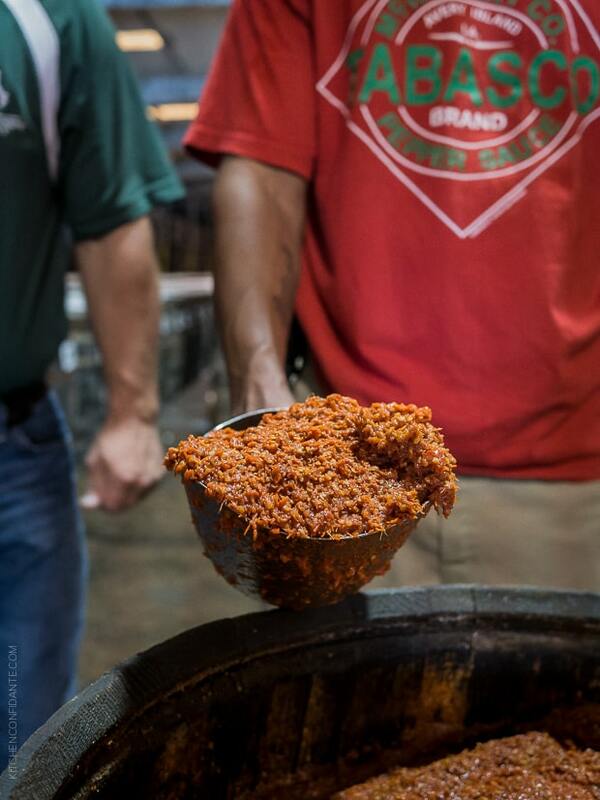 Disclosure: I was invited on this trip as a guest of Tabasco in conjunction with the TABASCO® Tastemakers program. This post is the first in a series I will be publishing over the next several months featuring the Tabasco Family of Flavors. All opinions in this post are, as always, my own. 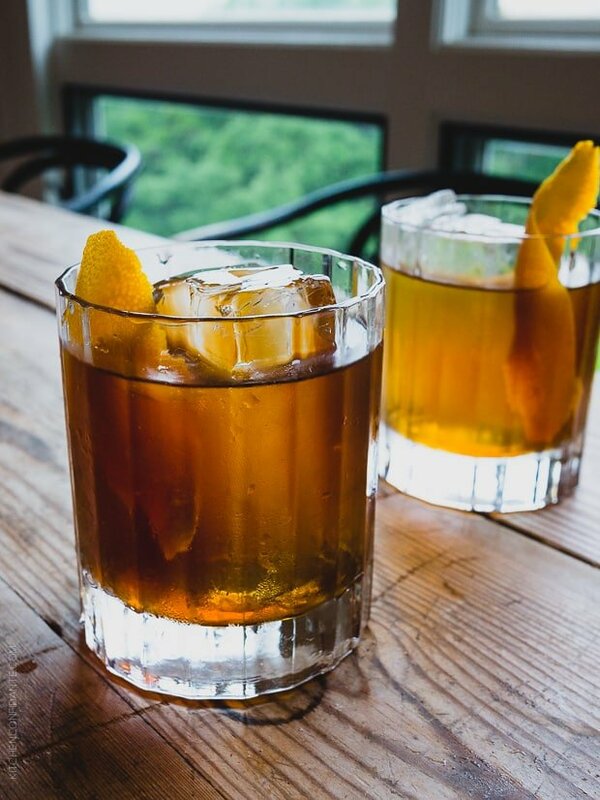 This cocktail featuring Tabasco is easy to sip and will liven up any large gathering, and comes courtesy James Beard award winning mixologist Nick Detrich of Cane & Table. In a saucepan over medium heat, combine grapefruit juice and Tabasco Green Jalapeño Sauce until heated through. Remove from heat, add sugar and stir to incorporate. Blend all ingredients in a blender until incorporated. 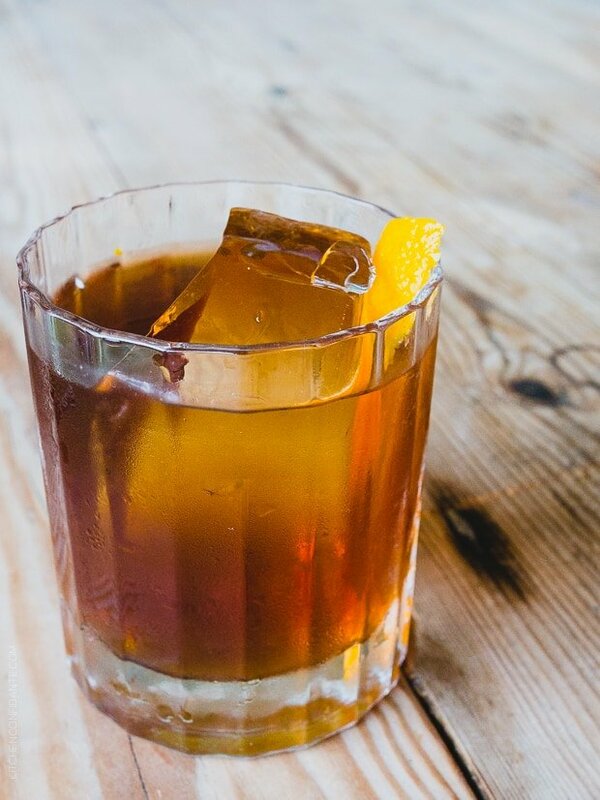 In an Old Fashioned glass with ice, add all ingredients and stir to combine. Garnish with orange peel. Recipe printed with permission from Nick Detrich of Cane & Table. HOW LUCKY!!!!! BTW, I think that part of Louisiana houses the most awesome food in the US (thus far). At least the down home cooking kind. We hope to visit again soon, especially the Tabasco factory. I do love, love, love Tabasco sauce ever since I was little. I enjoyed the food even more than I expected, and I already went in with pretty high expectations. The down home cooking was definitely my favorite – proof that simple food, when done right, is just as good as the most fancy food in the country. 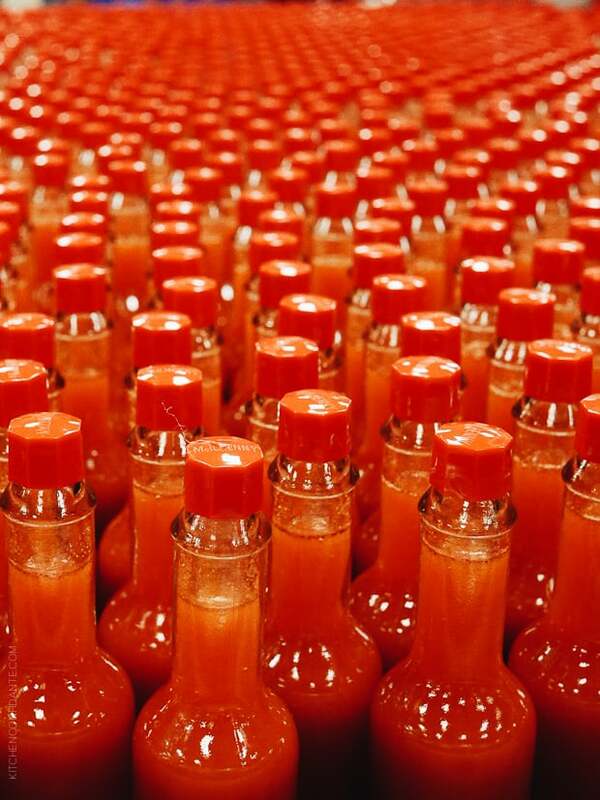 I hope you do get to go back and visit the Tabasco factory – there is so much to learn!